Canvas comes in a variety of materials, but the most common are linen and cotton. Linen is more expensive, but is typically a higher quality. Cotton is more affordable, but may feel rough when it comes to some fine detail work. Cotton is generally going to be the best choice for your first piece. 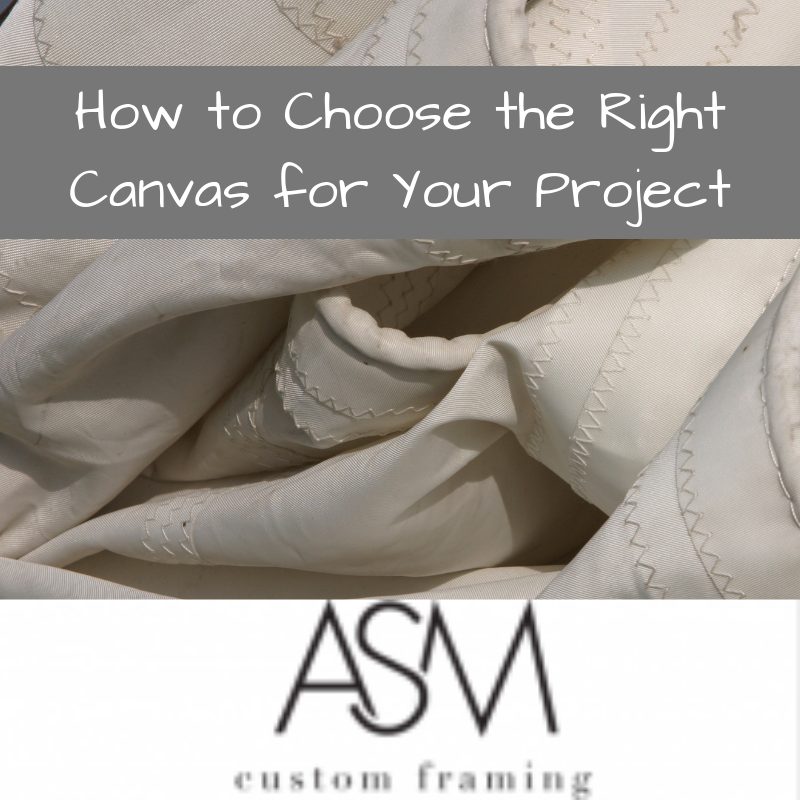 Canvas is sold according to the “weight” which is an expression of how dense the fibers are in the canvas cloth. Think of this like the thread count in high end bedsheets. The higher the weight, the more fibers are in the given canvas. A higher weight, much like a higher thread count in sheets, indicates a higher level of quality. The more densely packed fibers in a heavier weight canvas will make painting easier and let you have more fine detail in your piece. It’s worth noting though that some painters prefer a lower weight canvas for some pieces as bolder and bigger brushstrokes have more impact. Canvases come in either primed or unprimed varieties. The priming is done with a material known as gesso, which allows for the paint colors to be absorbed properly on the canvas while still be visible. You can paint on unprimed canvas, but the colors will be duller and softer, which may fit for some styles or pieces. The priming is done with gesso, and you can add additional priming if you desire, but preprimed canvas will usually work well for a beginner. Finally, the size of your canvas needs to be considered. Have a general idea of your piece before you start. Stretched canvas comes in a variety of sizes, so you’ll have the freedom to pick one that suits you best. 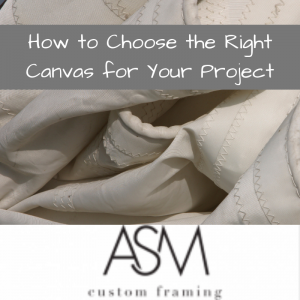 Keep in mind, with custom framing you have the freedom to choose any size, as we can craft a frame to fit any size of canvas. You’ll also want to consider the depth of your canvas. Some canvas is sold in deeper sizes so that I can be displayed as a stand alone piece, but slimmer depths are easier for framing. Once your piece is completed, we’d love to see it! Bring in your piece to our showroom for a quote on custom framing to make sure your piece is displayed in a way that allows all the beauty and creativity you’ve invested in it!